Getting a hunger on post 2am no longer has to default to a Macca's run. 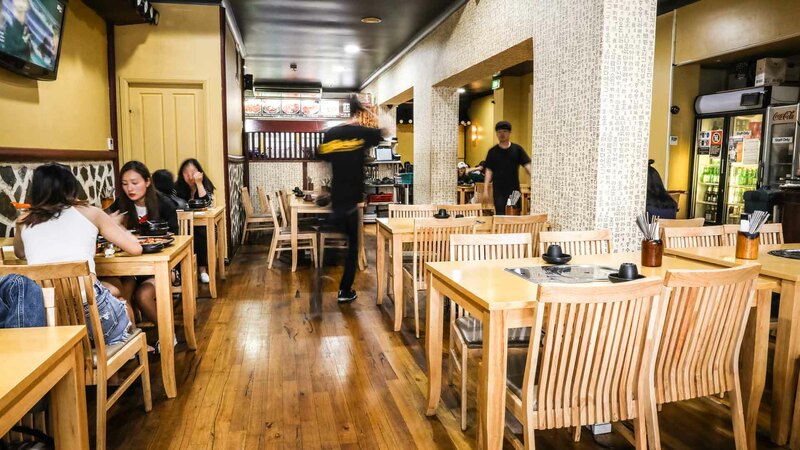 Dae Jang Kum has got Haymarket covered, serving up authentic Korean fare into the wee hours. The menu is a little overwhelming in how many options there are, which can be an issue if it's past your normal bed time. But who are we kidding? You're there for the Korean BBQ; this is DIY dining at its best. The almighty selection of meats, ranging from $30 to $79, are served up chilled and ready to be grilled on the in-built table BBQ. The restaurant is fully licensed making it a good go-to if your evening is just beginning or in wind-down mode.